Rosa, who shelter staff desribe as "friendly" could die at any time after her stray hold ends on 2/12/18. Rosa is a 7 year old, 44 pound, Shep/Husky mix who deserves a family who will give her lots of love and care. Rosa is rescue only because she has a skin condition and needs medical attention. This poor girl has obviously had a rough life. You can see in her belly that she has also nursed tons of puppies. She needs rescue ASAP. If you would like to foster or adopt, local rescues are willing to help facilitate this for an approved applicant. 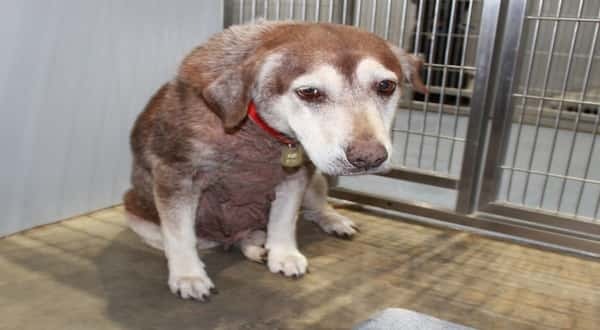 1 Response to "Senior shepherd fall into deep depression after heard that her hold time is up"
has a rescue committment but needs a short term foster.